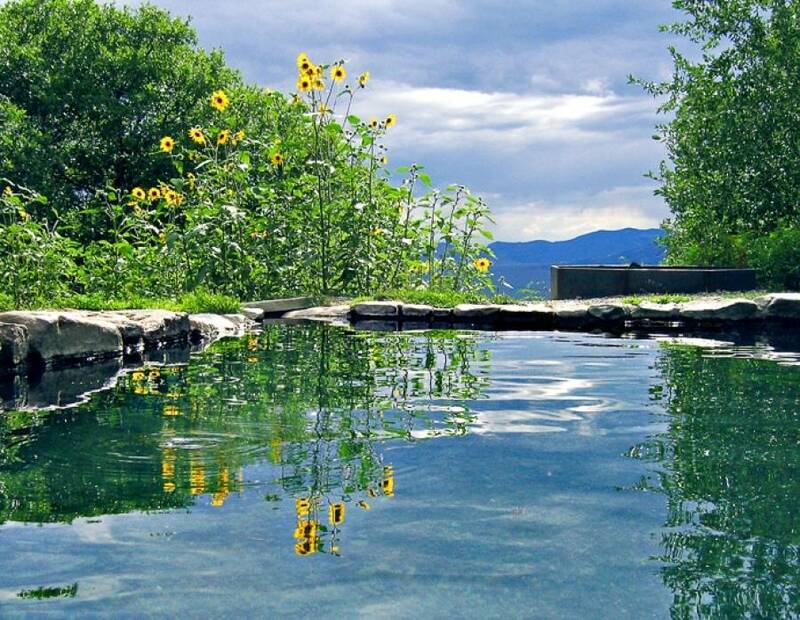 Reservations to Valley View Hot Springs are highly recommended due to limited capacity. Even if accommodations are vacant, admission cannot be assured without a reservation. Effective July 1st, 2013: Advanced reservations are a benefit of Membership. Non-members are still able to reserve any accommodation or campsite (not already reserved by a member) by calling the reservation line one day in advance of their expected arrival. The gate, Help Desk, and telephones are all closed from 10:00 pm until 9:00 am everyday. Only guests with overnight reservations are admitted after 8:00 pm. All others must be off-site before closing at 10:00 pm. 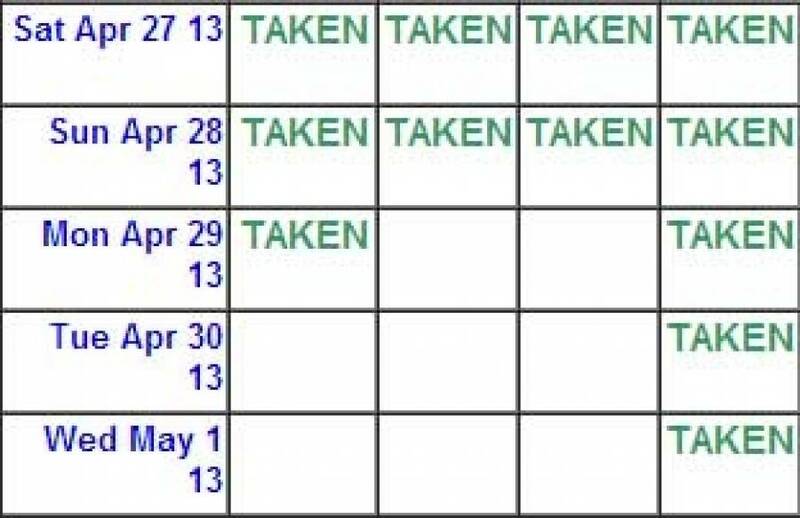 No one is admitted while closed. Overnight guests needing an early departure should notify management to avoid unnecessary alarm. Families and children are an important part of our community and our future. OLT offers free access and use to children under the age of 16. All minors under the age of 18 are the responsibility of their adult parent or guardian. Education is integral to our mission. OLT offers a variety of free tours and talks, offered at no cost to guests and visitors. Quick Dip $9/person$11/person Two hours. Members only benefit. Members may use the hot springs for two hours at a discounted rate. Membership is quick, easy, and rewarding. 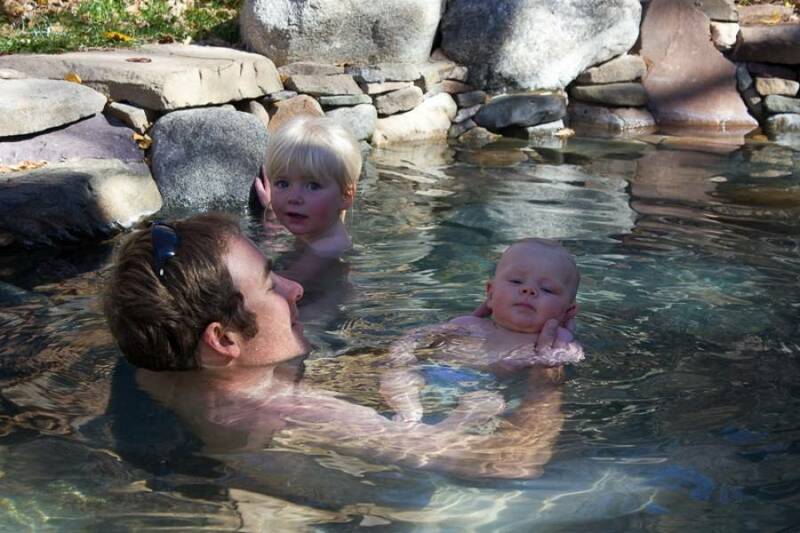 Day use allows guests to enjoy the hot springs between 9am and 10pm. 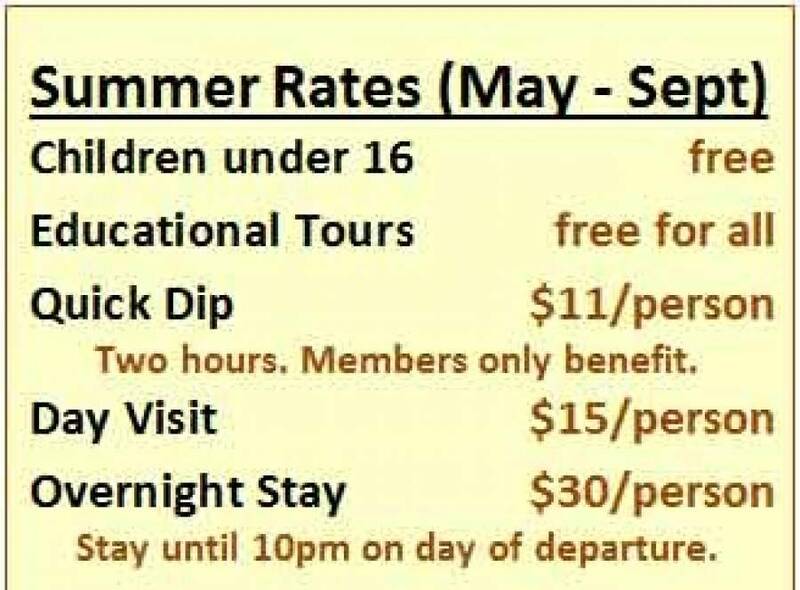 Overnight Stay $26/person $30/person Stay overnight and until 10pm on the day of departure. Guests with an accommodation may enjoy the hot springs all night. After checking out of their accommodation, overnight guests may continue using the hot springs until 10pm on the day of departure. Pet Fees + $5 to $15/visit OLT holds a $50/pet deposit covering damages or nuisance. There is now a maximum of 2 dogs per visit/per reservation/group or day visitor. A $50 deposit per dog, in addition to a fee of $5 for day visitors, $10/visit for campers and $15/visit for cabins. No dogs allowed in Oak House or Sunset House. 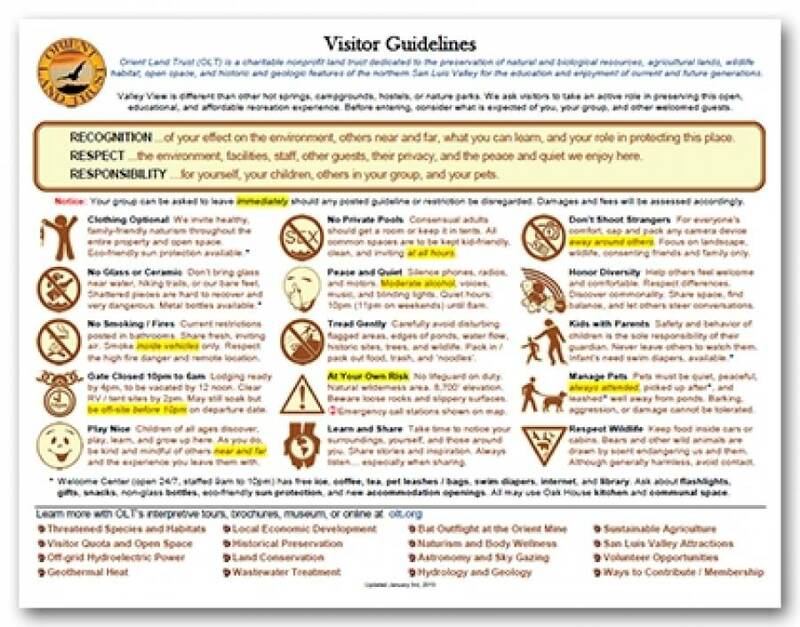 If a valid service dog is necessary, use of accommodations other than Oak or Sunset is encouraged. Dogs are not allowed to stay in vehicles and must be attended to by visitors at all times. 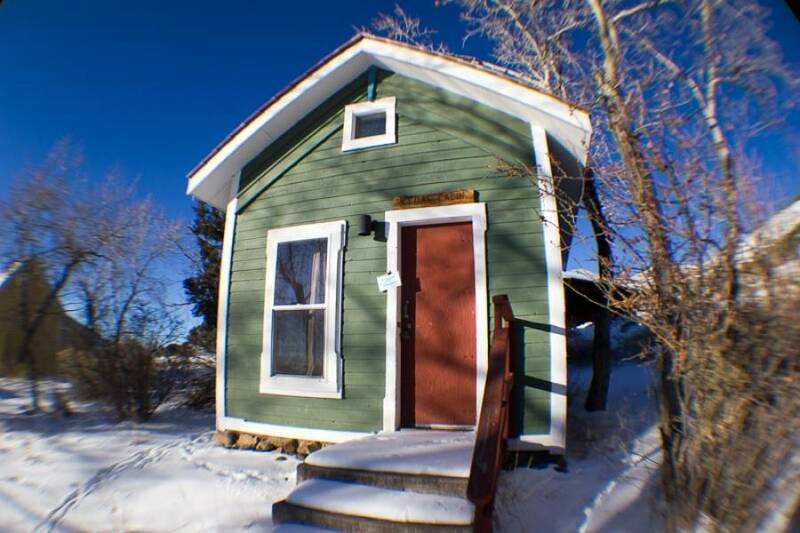 Local Discount: $3 off use fee with valid Saguache County Address on Drivers License. Nightly accommodations rates are in addition to per person fees above. Twenty four dispersed tent sites are located across the property and available on a first-come, first-serve basis. Some sites are near parking and trails while others are a short walk away. OLT Member Senior Discount (65+): $5 off per night on overnight private indoor accommodations only. ID Required. Change / Cancellation Fees Up to $50 Call in any changes immediately to minimize fees. We have a carefully limited capacity and accommodations and very high demand. Please call as soon as possible to cancel so we may admit others.